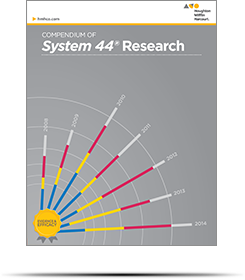 System 44 has been built upon a foundation of the best research and in consultation with top educational researchers and practitioners, and its effectiveness has been proven in studies across the country. 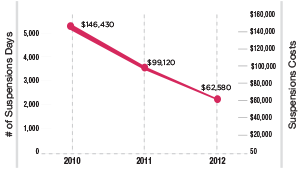 System 44 is improving the learning trajectory of over 1,000,000 students each day. Endorsed by the Council of Administrators of Special Education (CASE) as an effective reading intervention program, System 44 has a myriad of studies proving it effective for our most challenged readers. In two Gold Standard studies, System 44 students show significantly greater gains over the control group on numerous standardized reading assessments. System 44 and READ 180 provide a solid return on investment for Napa Valley Unified School District, CA. 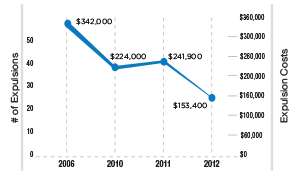 *The infographics on this page only represent the studies included in the Compendium of Research. 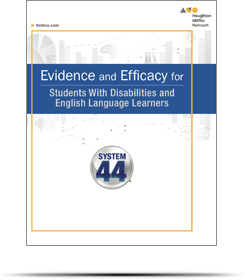 The System 44 Evidence & Efficacy Paper focuses specifically on how the program benefits students with disabilities (including autism and dyslexia) and English language learners. 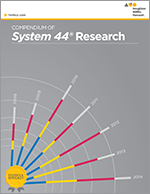 The System 44 Compendium of Research is a comprehensive collection of evidence-based results of System 44 for the most challenged readers across the country and student populations, including special education students and English language learners. System 44 is informed by an extensive body of literature about best practices for serving struggling readers. 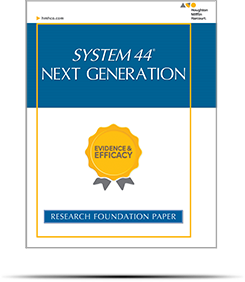 The System 44 Research Foundation Paper provides relevant information from the research base, and expert opinion is presented alongside descriptions of how these research foundations have been translated into the program design and curriculum.